Grevillea Lodge offers traditional B&B accommodation or the guest wing can be booked as a self-contained 2 bedroom apartment. It is a purpose-built addition to a private home set in a large leafy garden for guests to enjoy. Situated in a northern suburb of Canberra, allowing easy access to the University of Canberra, Calvary Hospital, Institute of Sport, ANU and within 15-20 minutes drive of all major Canberra tourist attractions. An ensuite is included with very comfortable beds and bedding with electric blankets and ducted gas heating for warmth on cold winter nights. There is a well-equipped guest kitchenette and pleasant living area, a large deck, and guest entry. A selection of teas and coffee & other necessities are available, with home-made snacks to enjoy. Broadband internet access is available for your laptop. For guests travelling with well-behaved dogs, the backyard is secure. Contact us for Special Winter Rates! 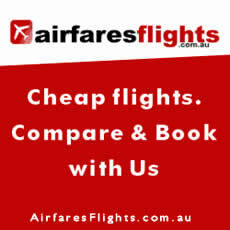 Choose from a large range of Hobart Hostels and cheap apartments at last minute rates. Compare the quality accommodations available and the prices. We have accommodation available in all the major areas of this famous Australian inland city.